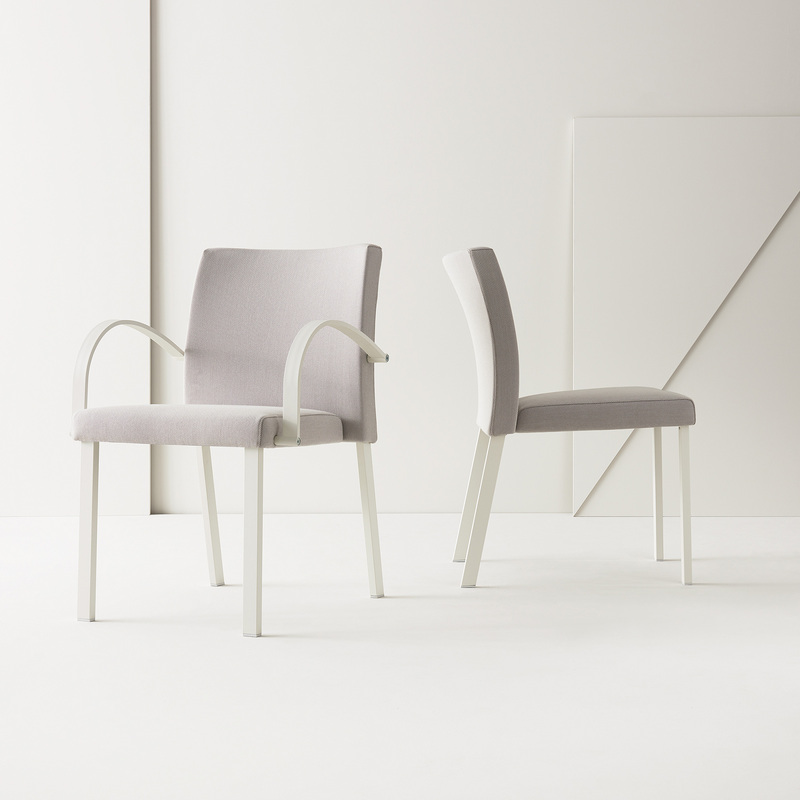 Upholstered chair and armchair for contract and domestic use. 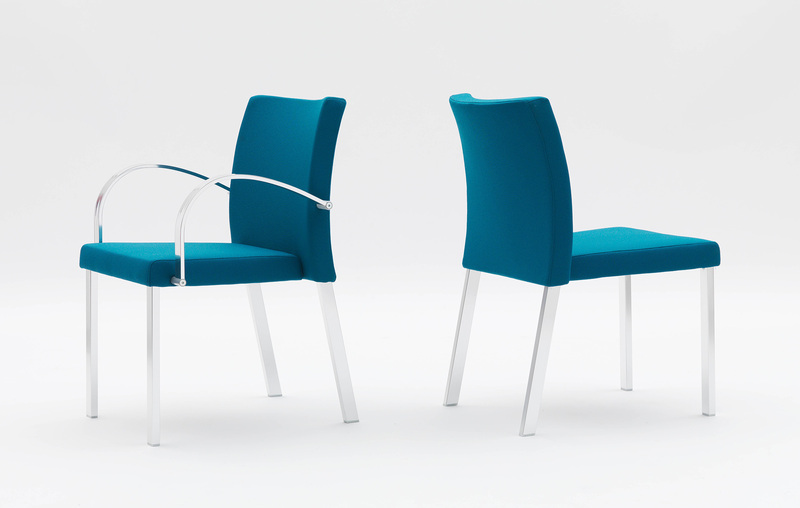 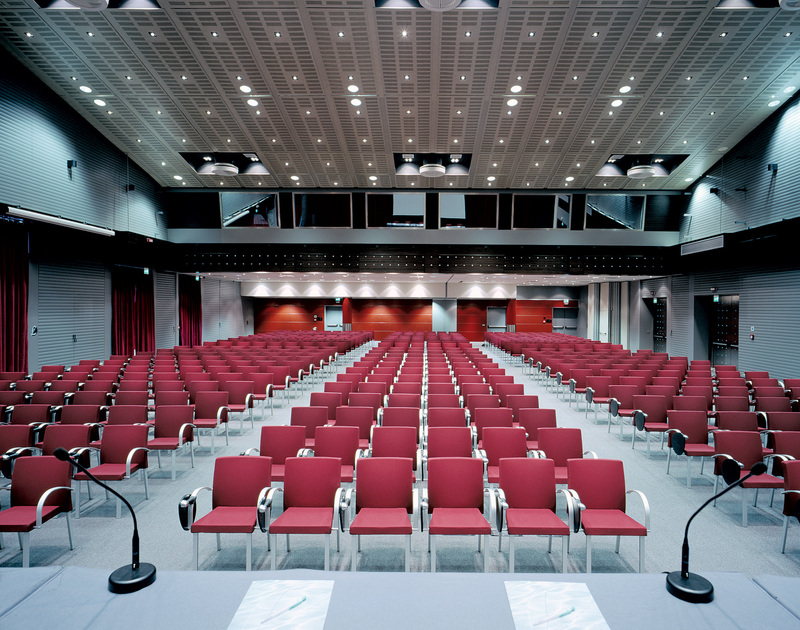 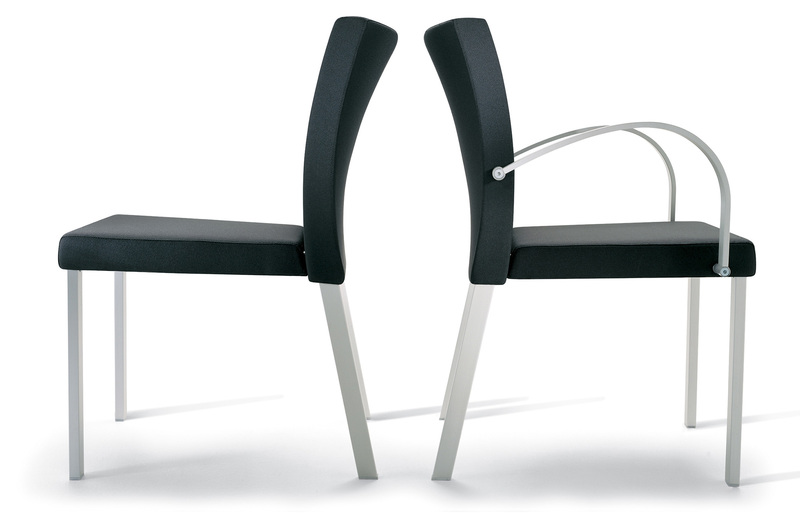 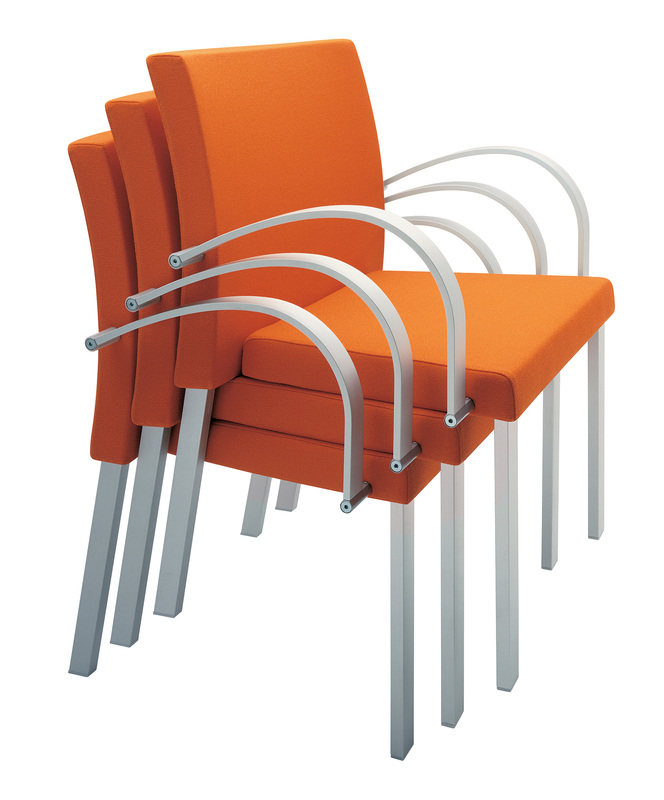 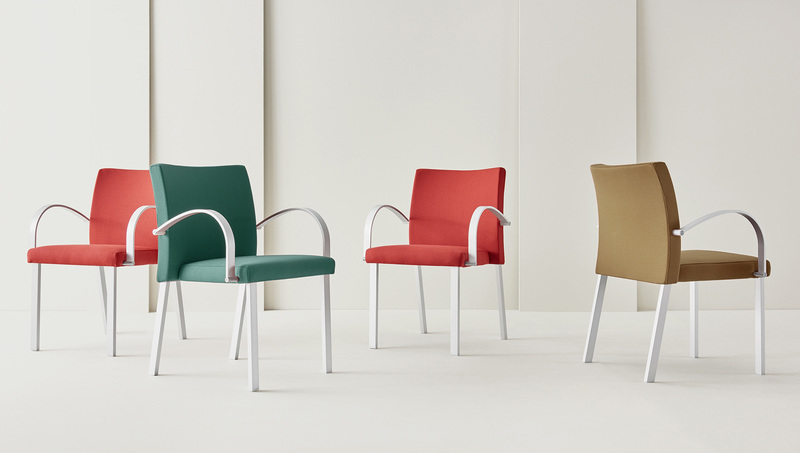 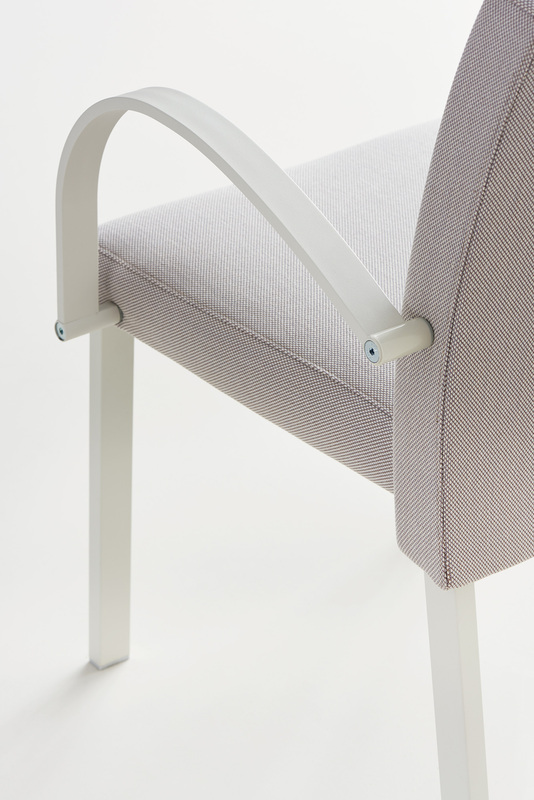 Frame and armrests in anodized aluminium, with satin or polished finish. 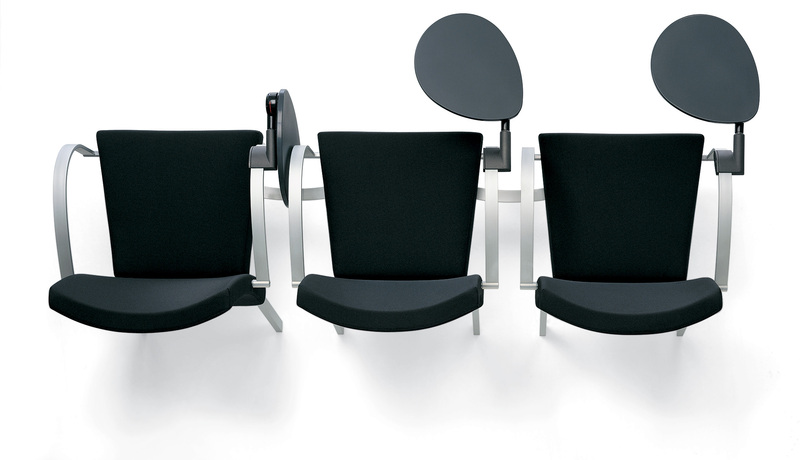 Seat and back in injection moulded foam, covered with either fabric or leather from the Segis collection, available in several colours.